Before Justice League hit theaters in November, there had been reports that if the movie had tanked, it could very well alter the course of the DCEU as a whole, with one report from October claiming the Flashpoint movie won't happen if Justice League bombs. Justice League debuted with the lowest opening weekend in the DCEU's short history, and with $212 million domestic and $613.3 million worldwide, it likely won't surpass any of the three DCEU movies before in in either box office category. During Warner Bros. presentation at Comic Con Experience in Sao Paulo, Brazil this weekend, though, it seems that the studio's slate is largely the same, with a few possible exceptions. The Warner Bros. presentation at Comic Con Experience began with a presentation of the studio's upcoming DCEU slate kicked off with a title card for the Wonder Woman sequel that showed the Wonder Woman logo "flanked by Roman columns." Since there was no "2" in the title, it seems possible that Wonder Woman 2 may not be the official title. Since Wonder Woman is by far the studio's biggest hit, both critically and commercially, it's not surprising that they lead their presentation with this project. The studio then showed the Aquaman title card, which hits theaters nearly a year from now, along with the Flashpoint title card, essentially confirming that this movie is still happening, despite earlier reports. It's possible the studio changed their mind since Ezra Miller's Barry Allen was considered one of the highlights of the movie by many critics, despite an overall lukewarm reception to the movie as a whole. What is interesting though is this presentation did not include a Cyborg movie title card, indicating that this project, which was being eyed for a spring 2020 release, may be dead. There had been talk that The Flash and Cyborg will team up in the Flashpoint movie, so perhaps his story is being shifted over to that project. There was also a title card shown for the DCEU's Justice League Dark movie, indicating that project is still in active development, along with title cards for Suicide Squad 2, Joss Whedon's Batgirl movie, Shazam, Green Lantern Corps and The Batman. Still, there were a few other notable absences as well, such as Gotham City Sirens, the Deadshot solo movie and the Harley Quinn solo movie and a Harley Quinn and Joker team-up movie. There was also no mention of the studio's solo Black Adam movie with Dwayne Johnson or a rumored Deathstroke solo movie. Still, the absence of these title cards is by no means a confirmation of the project's status. While some of these missing projects are certainly intriguing, most of the initial slate set up by the DCEU remains intact, with the sole exception of Cyborg, it seems. 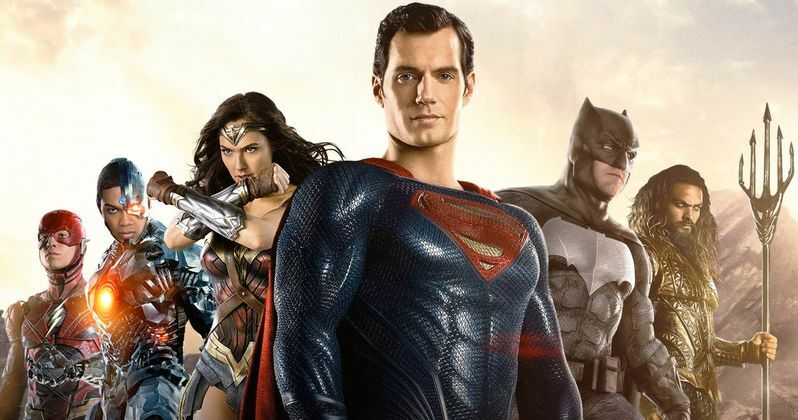 There was also no mention of a Justice League sequel, but a report from October revealed that script is already being written. This report from Comic Con Experience comes from ComicBook.com but hopefully we'll find out official details about the impending DCEU slate soon.